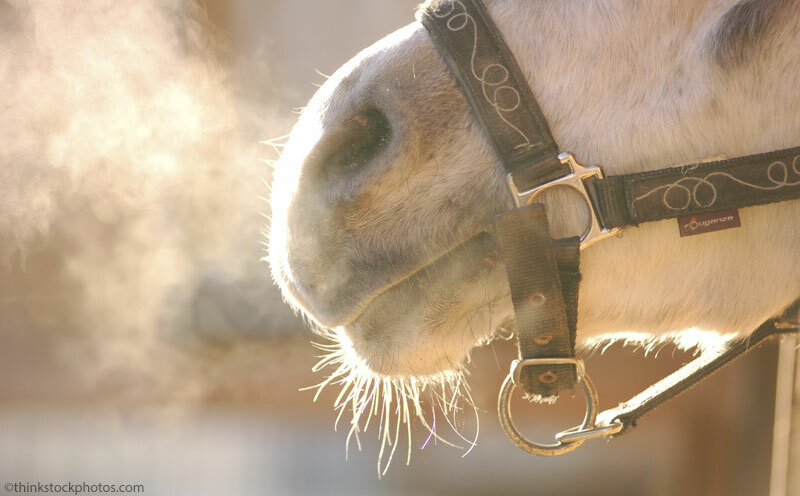 Five things your horse's vet really wants to receive this holiday season. The holiday season is usually a small respite for many equine vets—the winter months tend to be a lull between the busy fall show season and the craziness of spring. In these relatively quiet times, a vet can find herself contemplating her Christmas wish list. Of course the wonderful cards, well wishes, and occasional cookies and other treats bestowed by thoughtful clients are always appreciated, but there are some big-ticket items every horse vet fantasizes about. Here’s my annual holiday wish list. For those dark nights and dark mornings and dark barns and dark colored horses in said dark environments, we’re talking state-of-the-art serious hands-free candlepower. Holding a flashlight between the teeth will no longer be an issue with such a beacon strapped to my forehead. Of course, blinding of clients when writing up the invoice is not intentional. Specifically: comfy, maneuverable, non-lumberjacky shoes that can withstand being trodden on by a flighty thousand-pound Thoroughbred or slowly mashed by a well-meaning but clumsy Percheron. Preferred colors include black or dark brown. Should also be waterproof and have excellent traction. Interior lining should make my feet feel like they are being hugged by a downy cloud. This doesn’t exist as an item offered on Amazon yet, but I’m hoping some engineering-savy horse person can design me a prop with which to wedge against horses that are leaners. 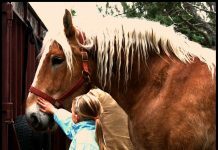 You know the type—the horse that leans on you when you lift his leg or leans on you when sedated. Item should be able to bear the weight of up to a Clydesdale safely and comfortably and be collapsible so that I can easily tear it down when not in use, and store it in my vet truck. About one thousand of these will do for the winter, thanks. These little synthetic bundles of sunshine are lifesavers in sub-freezing temperatures. It’s amazing what you can tolerate if your hands are warm—waiting for clients to catch horses in a twenty-acre field in December while it’s snowing, waiting for sedation to take effect on a stallion that really, really, really doesn’t want to become a gelding—you get the idea. A GPS unit that could provide the most direct route from Barn A to Barn B is one thing. But a GPS unit that knew the secret back entrances to some barns to prevent my driving through a busy boarding stable on a Saturday afternoon would be the perfect gift. A locator for which “back pasture” a client is talking about would be even better. But in my most fanciful dreams, I could use something along the lines of Harry Potter’s Marauder’s Map where I can keep an eye on certain patients. A little surveillance could go a long way when it comes to enforcing stall rest or confinement to a dry lot. After your Shetland has recovered from his bout of spring founder and your Quarter Horse’s tendonitis has quieted down, I’ll put it away, I promise. Oops it’s on the steel toed shoes because they aren’t strong enough ever and can end up causing a whole lot more damage to you toes than the stomp without the steel. I like that idea of hand warmers to give, that would also work for a farrier. I love my steel toed shoes. They’ve saved my feet from my 2000lb horse several times!